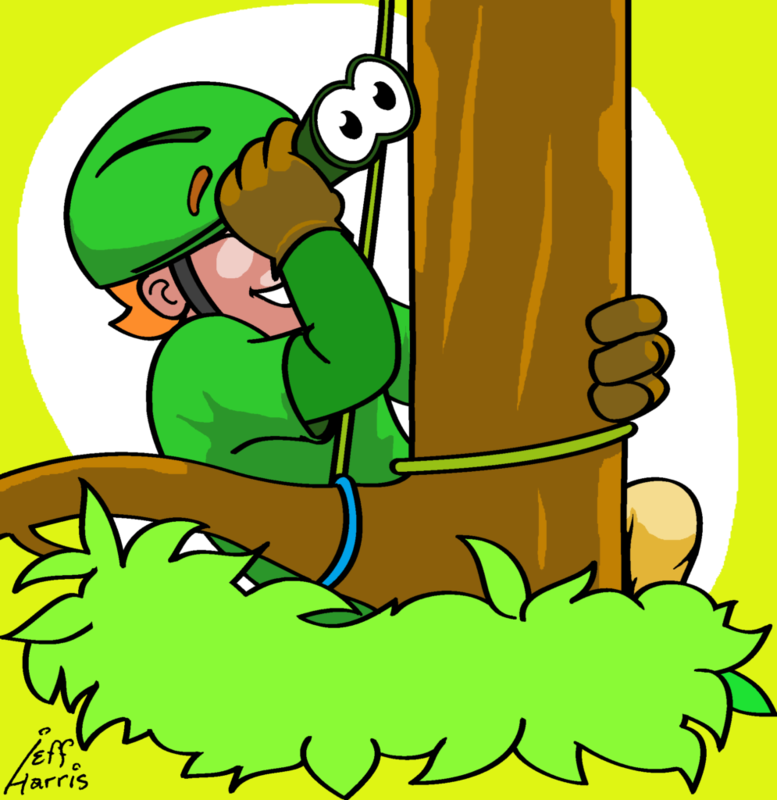 Sandy gets up close to view trees! Sandy loves the diversity of trees that are native to Indiana! Whenever she gets a chance, she puts on her safety equipment and goes out with her fellow Arbor Rangers ™ to view and climb trees. Trees come in all shapes and sizes and Indiana, for example, has over 100 native species! Did you know that some of these Indiana tree species are in common with nearby states? For instance, the Indiana State Tree, the Tulip Tree (also known as Yellow Poplar; scientific name, Liriodendron tulipifera), is also the State Tree of Kentucky and Tennessee! It is native from Connecticut and southern New York, westward to southern Ontario and northern Ohio, and south to Louisiana and northern Florida. CONIFER (a.k.a. EVERGREEN or Softwood) trees bear cones with embedded seeds and have needle-like or scale-like leaves that remain “ever” green throughout the year. Because these plants do not produce flowers, they are among the group of plants known as “Gymnosperms“. 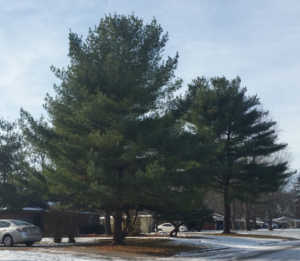 Eastern White Pines (Pinus strobus) adorn a front yard in this neighborhood. DECIDUOUS HARDWOOD (a.k.a. Broadleafed) trees which are trees with broader, flattened, “fan-like” leaves (simple or compound of various shapes and sizes). These are seed-producing plants, like conifers, but they differ because they bear flowers (some more distinctly than others) and thereby are among a larger diverse group of plants called “Angiosperms“. Most species’ leaves will change color before dropping off in the fall season. This is true in other cooler climate states, but rarer in warmer or tropical climate states. 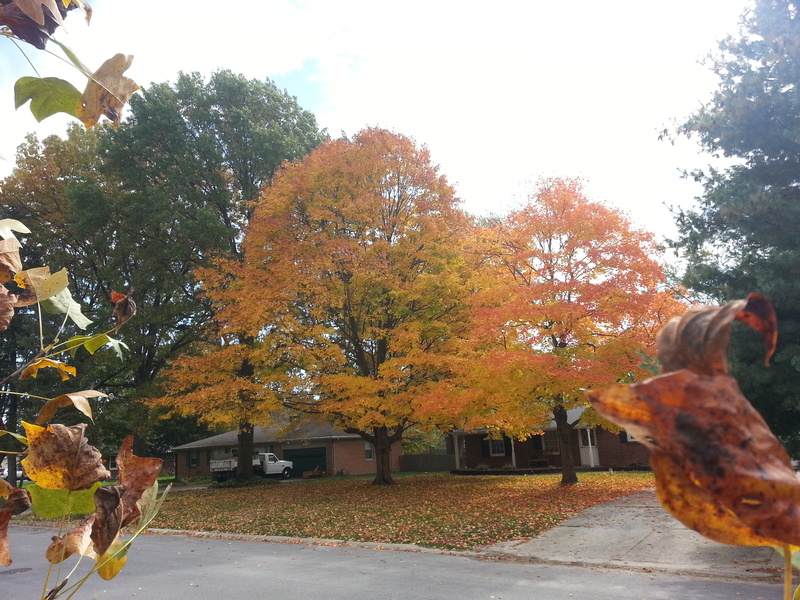 Sugar Maples (Acer saccharum) brighten up a neighborhood in fall! DECIDUOUS EVERGREEN trees which look like typical conifers, but surprisingly lose their foliage in the fall just like deciduous hardwood trees! These are also among the group of plants known as “Gymnosperms“. Baldcypress (Taxodium distichum) by the canal have lost their summer foliage. Sandy has helped put together the following list of trees that are native to Indiana. Included are non-native, INVASIVE SPECIES. * This is a searchable & sortable list of conifers and hardwood trees featuring their Scientific Names as well as Common Names by which they are generally known and includes links to more tree information** by clicking on their Scientific and Common Names. Type: One of the three tree types: Conifer, Deciduous Hardwood, or Deciduous Evergreen. Leaf: The general type of leaf form. Simple – a single leaf blade joined by its stalk (or petiole) to a woody stem. Compound – a leaf that is itself composed of more than one leaflet and these leaflets are attached to its single leaf stalk. Needle-like – slender, sharp-pointed leaf. Scale-like – leaves with short overlapping segments. Branching: Briefly describes the general, characteristic, growth structure of the plant’s stems/branches. Alternate – branching that is staggered or not directly across from one another. 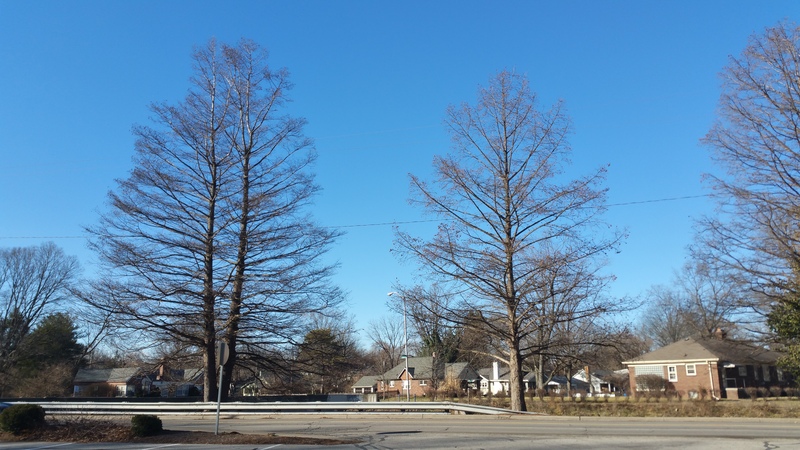 Opposite – branches that are directly across from each other. Height: The approximate average maximum height the tree species may obtain at maturity. Spread: The approximate average maximum width the tree species may obtain at maturity. Fall Color: The general color of the foliage during the fall/winter season; leaves detach and drop from deciduous tree types. Find out Why Leaves Change Color. Hardiness Zones: Range of USDA Plant Hardiness Zones each plant has been reported to grow and usually thrive in. To learn more about hardiness zones, see our USDA Plant Hardiness Zone Map – INDIANA page. HINT: Viewing the list on a small screen mobile device in portrait position may not display all columns. Try viewing this page with your device in landscape orientation to broaden your view of all featured columns of the tree list. *An invasive species is defined as a species that is: 1) non-native (or alien) to the ecosystem under consideration and 2) whose introduction causes or is likely to cause economic or environmental harm or harm to human health. Invasive species that occur in urban forests should be removed, if and wherever possible, or at least avoid being planted or replanted. **Links for additional information include fact sheets from various federal and municipal entities and academic institutions. These fact sheets expand upon and feature a broader range of tree details, including identification photos. These factsheet links were specifically selected, based on the quality of their online content. We highly recommend the book "Native Trees of the Midwest" by Sally Weeks (Purdue University). Please contact us regarding any broken web links. 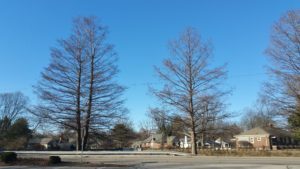 Native Trees of Indiana list compiled, created and copyright © 2017 Arbor Rangers, LLC. With special THANKS to Lindsey Purcell, Urban Forest Specialist, Purdue University for his expert review! Find additional resources here on our TEACHER and PARENT RESOURCES page.